Few days ago American Institute of Aeronautics and Astronautics (AIAA) confirmed that a research paper about EM Drive has passed peer review and it will be published in December. 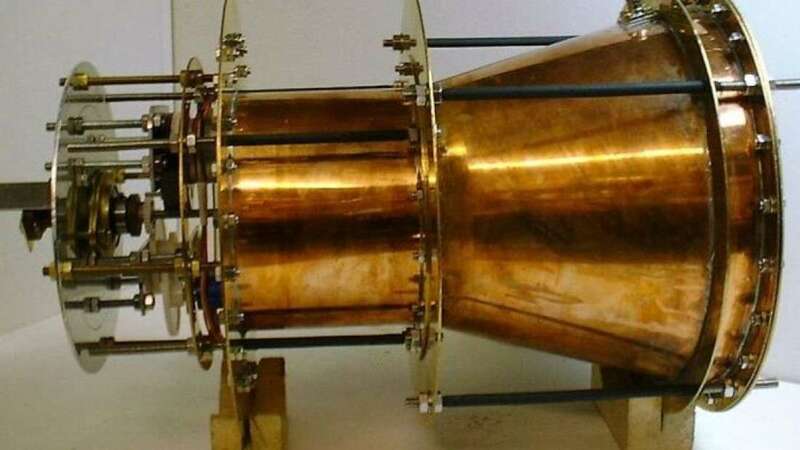 Now scientists are taking another step to find out if this controversial engine will work in space or not and for this an actual EM Drive is about to be launched into space for the first time. The EM Drive is as controversial as it gets, because although some clear experiments have put forward that such an engine could actually work, it also goes in contradiction of one of the most essential laws of physics we have i.e Newton's Third Law. According to Newton's Third Law, "To each action there's an equal and opposite reaction," and numerous physicists say the EM Drive definitely violates that law. This is because, for an engine to gain thrust in a certain direction, it has to eject some kind of propellant or exhaust in the opposite direction. And EM Drive basically travels in one direction with no propellant at all, and thus it clearly infringes the law of conservation of momentum, which Newton derived from his Third Law of Motion. It’s not just that it violates fundamental law of physics but it could yield enough thrust to send humans to Mars in just 70 days. Several experiment including experiment carried out by NASA 's scientists at the Eagleworks lab revealed "anomalous thrust signals" show that it does indeed produce thrust. And on top of all of that experiments, we’re about to observe an actual EM Drive be send into space. CEO of Cannae Inc, Guido Fetta, and the creator of the Cannae Drive - a rocket engine that's constructed on original EM Drive design, announced that they would launch this thruster on a 6U CubeSat - a sort of miniaturised satellite. "The longer it stays in orbit, the more the satellite will show that it must be producing thrust without propellant." Another group of engineers in China and the inventor of EM Drive Himself, are also working on their own launchable EM Drive, so one of these two is going to get there first, and I personally cannot wait to see what will be the results.